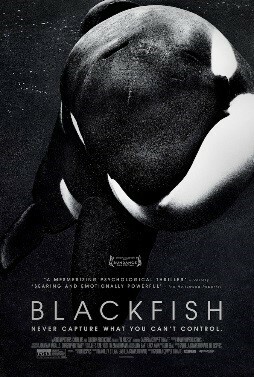 The filmmaker began researching the lives of orcas in captivity after the death of Sea World trainer Dawn Brancheau. Her film offers a powerful and provocative look at a remarkable breed of animals that humans still don’t fully understand, and how the financial interests of water parks and resorts may run counter to the best interests of the animals they put on display. Dark Girls is a fascinating and controversial film that goes underneath the surface to explore the prejudices dark-skinned women face throughout the world. This documentary exposes shocking secrets the diet, weight loss and food industries don’t want you to know about deceptive strategies designed to keep you coming back for more. Find out what’s keeping you from having the body and health you deserve and how to escape the diet trap forever. Also: Muscle Shoals, Into the Abyss: A Tale of Death, A Tale of Life, Head Games, Marley, Undefeated, The Wall: A World Divided, Too Important to Fail, and more! This drama centered on the tragic shooting of Oscar Grant, a vibrant 22-year-old Bay Area father who was senselessly gunned down by BART officers on New Year’s Day in 2009, and whose murder sent shockwaves through the nation after being captured on camera by his fellow passengers. Based on the true story of Solomon Northup. It is 1841, and Northup, an accomplished, free citizen of New York, is kidnapped and sold into slavery. A heart-pounding thriller that will draw viewers into the infinite and merciless realm of deep space. Also: Mandela: Long Walk to Freedom, Philomena, Blue Jasmine, American Hustle, Nebraska, Inside Llewyn Davis, Wolf of Wall Street, and more! Check the online catalog or our upstairs display to discover new titles. 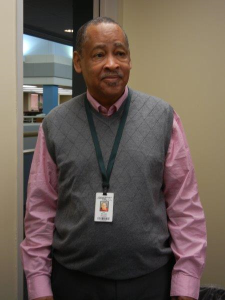 Borrowing a line fr om broadcaster Edward R. Murrow, we at the Durham Tech library wish librarian Bill Frazier all the best as he signs off—as this semester ends, he will be closing the chapter on his time at Durham Tech. Bill has worked as evening reference librarian at the ERC main campus library in the fall and spring semesters for almost ten years now, and we will sorely miss his kindness and good humor, not to mention his attention to detail! Bill has always been willing and able to pitch in and help with anything we needed, from taking inventory to making information sheets for students to leading library orientations. For this, for everything, Bill, we thank you; the library will not be the same without you. On the plus side, Bill will now have more well-deserved time for his passions, such as music, travel, and most of all, family. But we hope he never forgets his family at Durham Tech. Good night and good luck indeed—and come visit often!